"...Rocking around the Christmas Tree..."
"...Let the Christmas Spirit ring..."
"...Later we'll have some pumpkin pie..."
"...And we'll do some caroling..."
In a new old fashioned way..."
It's the first full weekend in December and that only means one thing in the Jones household... Christmas Tree time! 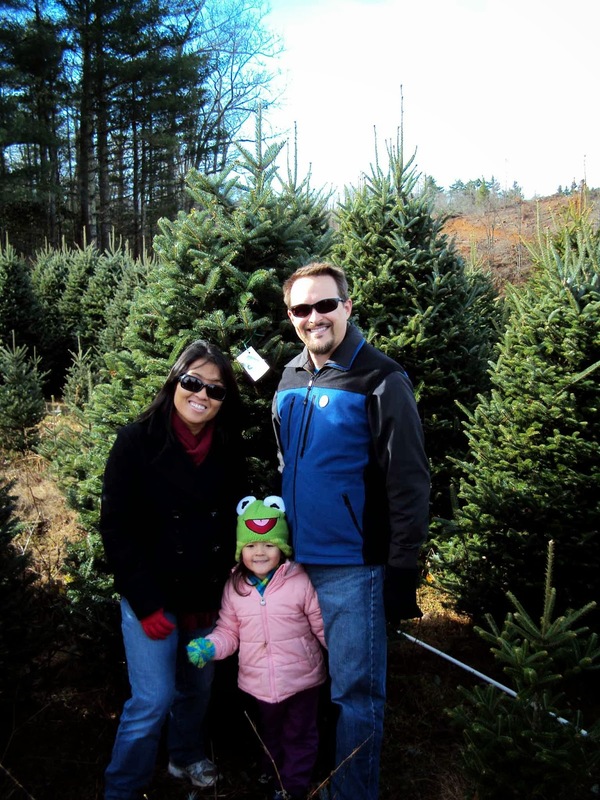 We met up with our friends, the Keys family, at our usual Christmas tree farm, Shady Rest. The weather was chilly, but not snowy, this year. We took our time finding the "perfect tree." 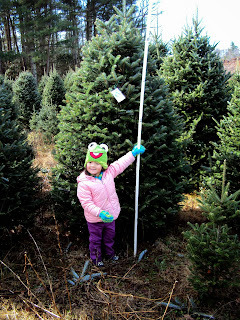 Lil' Miss had her own opinions on what she was looking for in a tree! Bigger! Taller! Fatter! After we found THE tree, drank some hot chocolate and the girls enjoyed a lollipop, we went to Brushy Mountain Smokehouse and Creamery for lunch. 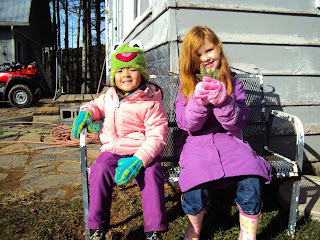 Katy and Cecilia had lots of fun together! Lunch was delicious and the company merry. 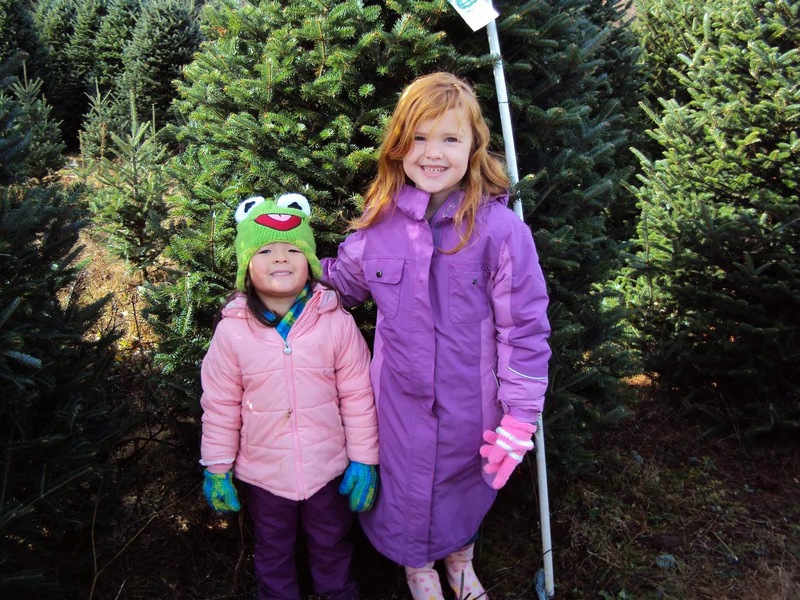 Love our annual trek to the mountains to get Christmas tree!